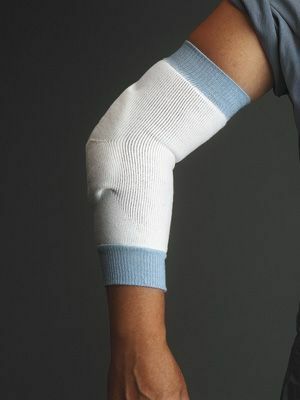 Cushioned Elbow And Heel Protectors With Foam Pads. 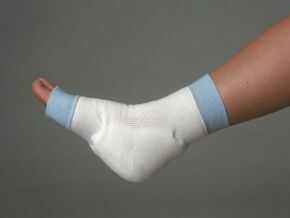 Cushioned heel and elbow protectors with a foam pad which can be used in hospitals, nursing homes and extended-care facilities. They can be machine washed and dried, they also have a stretchable body and are proportionately knit. Medication can be applied to pad when needed. Made of acrylic/spandex and urethane foam.